There are many estate agents in East London, especially Bow, so how do you know which one to go for? Research is the answer. Come and meet us here at Alexander David Property and see if we can provide what you are looking for. It is also recommended that you take the time to look at estate agency rating sites to see the reviews that have been written about agents. This will give you a real insight on which agent to use. You should have an idea of how much you would like to rent your property out for; the prices in East London (Bow, Bethnal Green, Mile End, Hackney, Dalston, Clapton etc.) are always pleasantly surprising and are constantly rising. The best way to see what your property will achieve is to arrange for us to come down and inspect the property. Not only do we have the experience but we also know the high levels of demand and how much people have set aside as a budget for rent. This also gives you the opportunity to meet us and pick our brains. 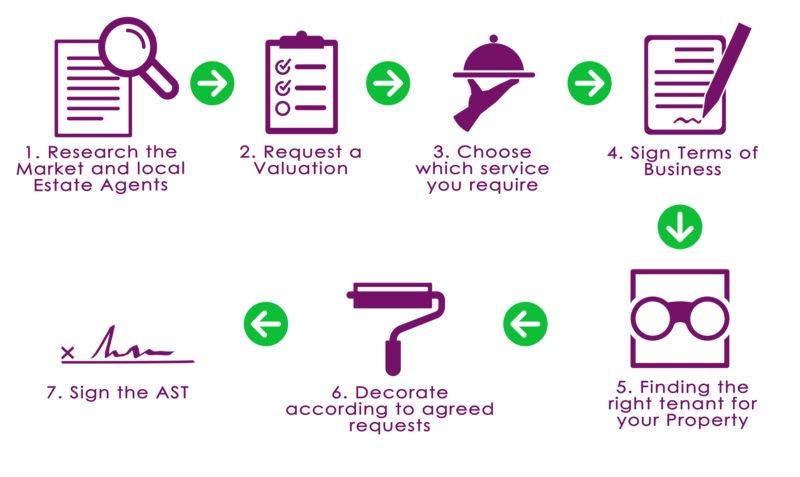 Alexander David Property provide a couple of services that we want to make clear and easy to understand. Advertise and market the property on the UK’s two leading property portals www.Rightmove.co.uk and www.Zoopla.co.uk in addition to our website and shop window. Accompany prospective tenants on viewings. Negotiate the relevant terms of any agreement with a prospective tenant. Arrange for the preparation of relevant documents, for example, an inventory and a tenancy agreement. Arrange for references in respect of a prospective tenant. The services listed in the Let Only section above. Collection of rent on an agreed periodic basis and, where relevant, chasers for the payment of rent. Inspect the Property at least once every 3 months. Arrange for maintenance and repair quotes and, where approved, for maintenance and repair work to be carried out. Arrange for annual safety checks to be carried out. Provide you with details of usual outgoings, maintenance and repair costs and safety checks. This is the part where we make everything official. The terms of business make clear what you will require from us and what we will provide you with.. At this point, we will also acquire the relevant documents that you need to legally rent out your property such as the Gas Safety Certificate. Once we have a signed the Terms of Business, advertising and viewings can commence! Of course we also advertise in our window, which is conveniently located next to a busy bus stop and popular Bow Café so there is a lot of footfall. Once we have had some interest and a viewing is booked with an applicant, we will give you (or the existing tenants) 24 hours’ notice and subsequently confirm everything the evening prior to the viewing. If the viewing goes well and the applicant is interested in renting your property, we take a holding deposit which temporarily takes the property off the market while we wait for your approval. When it comes to students, we also secure a guarantor on the Assured Shorthold Tenancy (AST) for extra security. When the checks are complete and the Landlord is happy with the tenants, we proceed with the next step. This is usually a step that is not required. We recommend advertising the property as furnished/unfurnished and remaining as flexible as possible if you have not yet decided. This is because furniture can be arranged at a reasonable price the day before a tenant moves in, if required. We also have a team of very reliable contractors on hand to carry out any last minute work. The transition from being a Landlord with an empty property to a Landlord with an occupied property should be as easy as 1-2-3. The last step brings us to signing the AST. The AST formalises the arrangement in a legally binding document. The AST is there to protect you and the tenant; to make clear what is expected from both parties during the tenancy.